Stranger Things has absolutely dominated the pop culture conversation over the course of the last year or so. Netflix hit an absolute home run with their 80s sci-fi series and a lot of that has to do with the incredible, young cast members they recruited. Namely, Millie Bobby Brown, who plays Eleven on the series. Eleven recently re-appeared in Stranger Things season 2, but it turns out the beloved character was almost killed off permanently in the first season. Series creators Ross Duffer and Matt Duffer recently spoke at Chapman University during a Master Class Q&A session. During the course of the conversation, Ross Duffer explains that Stranger Things was originally pitched as a limited series, which means Eleven would have been killed off in the original vision for the series. Here's what he had to say about it. "Maybe I shouldn't say this because I like to pretend that it was all planned out, but it was originally pitched as a limited series. So it was like, Eleven was gonna sacrifice herself and save the world and then that was gonna be it, because there was a moment where limited series were a big deal." 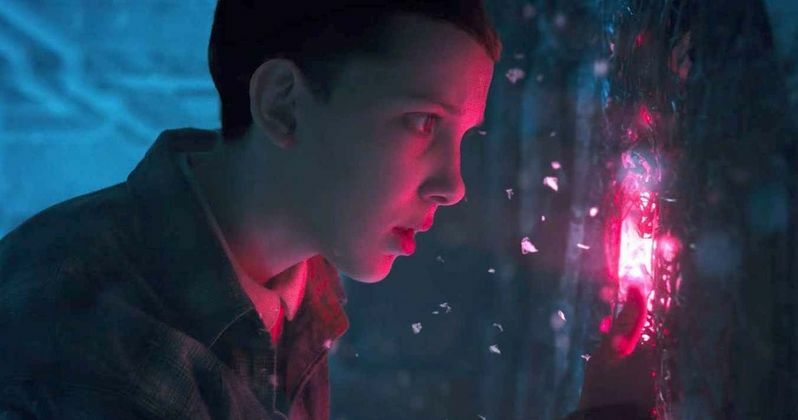 Eleven made a big sacrifice at the end of Stranger Things season 1, but season 2 made it clear that she didn't die. However, Netflix ultimately decided, for business reasons, that they didn't want to make Stranger Things into a limited series. Even though the limited series model was popular for a bit, they are very tough to make any money on, from a network perspective, since they are a one-and-done production. Thus, Eleven's fate changed when the idea of Stranger Things season 2 became a reality. Ross Duffer further explains how they had to adjust their pitch on the fly when Netflix wanted things to keep going. "This is where the business side comes in. When we started pitching it it was like 'We don't make money off of limited series'. And I remember when we went into Netflix and we pitched this they were like 'well, we like this but how could it keep going?' and you're just sort of riffing in the moment and we were like 'Well, Will's back from this other dimension and he's not doing very well'. And they were like 'great!'" Stranger Things season 3 has already been given the green light and the Duffers say that the show is likely to end after season 4. Though, it may be a while before we actually see any more new episodes of Stranger Things, but we're going to get more Millie Bobby Brown, Finn Wolfhard and the rest of the kids in the future. But as this new information, as reported by Cinema Blend, reveals, things could have been very different for Eleven and Stranger Things, had the show gone according to the original plan.